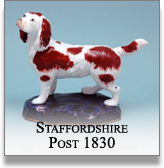 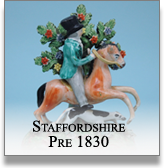 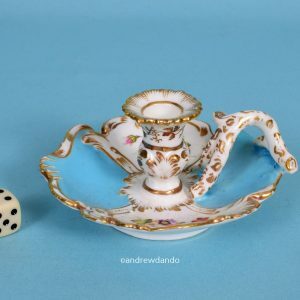 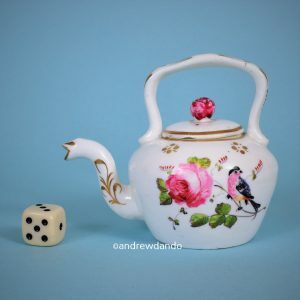 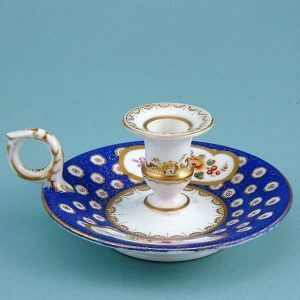 English Porcelain Miniature Tea Kettle. 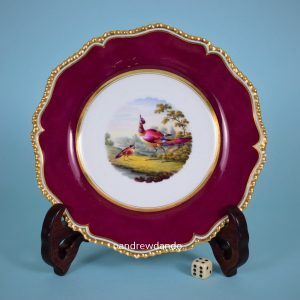 Flight, Barr & Barr Worcester Porcelain Plate. 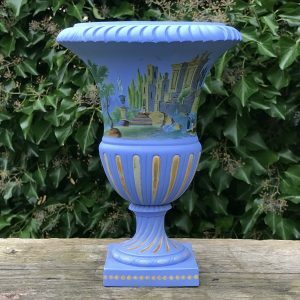 Mystery Vase with Landscape Decoration. 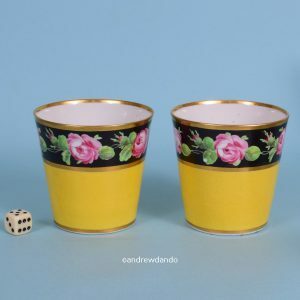 A Fine Pair of Yellow Ground Beakers. 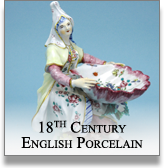 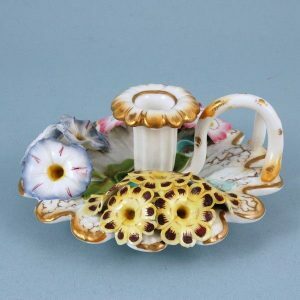 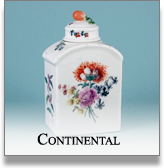 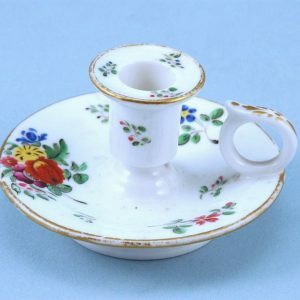 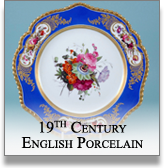 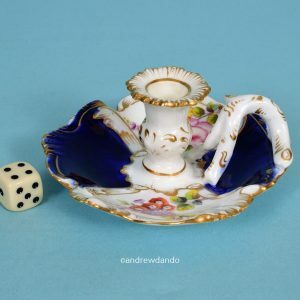 English porcelain flower encrusted chamberstick. 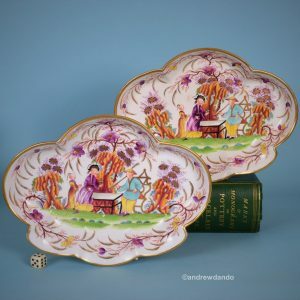 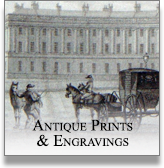 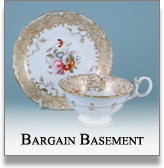 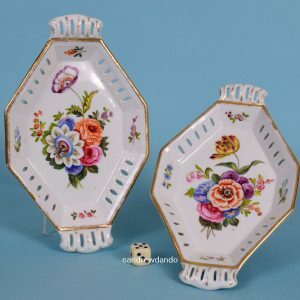 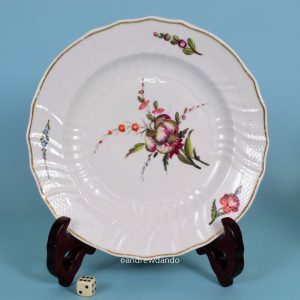 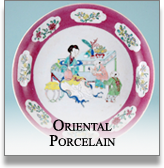 Pair of English Porcelain Dishes. 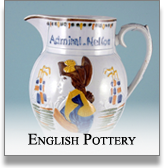 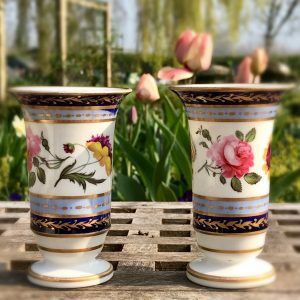 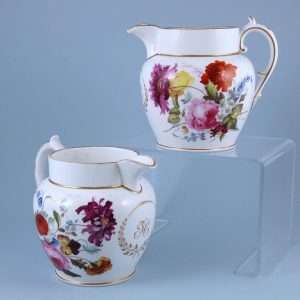 Pair of English Porcelain Jugs. 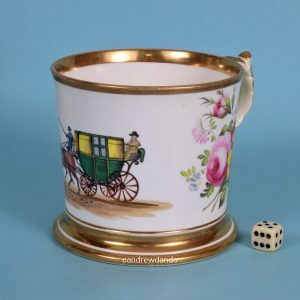 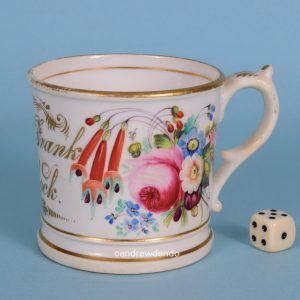 Porcelain Mug with Coaching Scene.